also can we use socks and not using the shoes..or maybe ballet shoes? 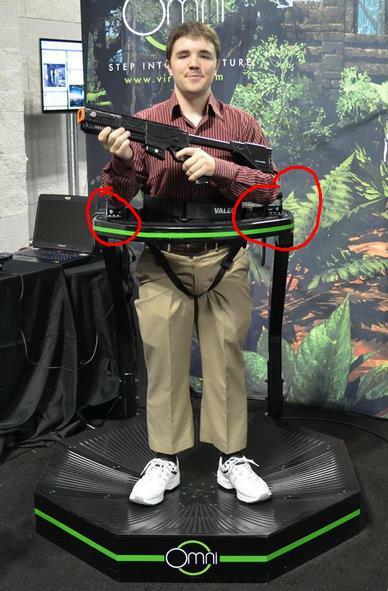 but supposely there is sensor/can integrate bluetooth/timed weigh sensor or something..
Don't worry, kids can use the Omni too - the height of the support can be adjusted to suit players from 4'8" to 6'5" tall, and shoes are available in a wide range of sizes. 5. what about my kids, and their friends..? 6. renting omni to game centre/opening game centre/replacing airsoftgun battleground (where you can skirmish, without mesh and pain bruises) also nice, but then again shoe..
Hey @san2salim - good comments. Excited to hear you business interests. 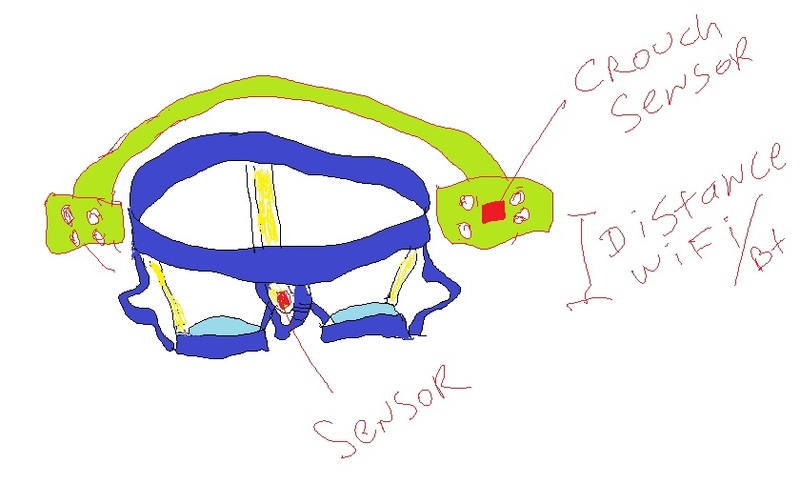 The first version of the Omni will help us determine where the future lies for walking in VR. We understand your desire to enable players to easily get on and off the Omni with little resistance. It's a fine balance between creating the optimal VR experience and ease of access. We will defnitely keep your comments in mind. @san2salim‌ You are absolutely correct that some changes are needed to optimize the Omni for an arcade type of experience. Our focus when developing the Omni is to ensure that the experience is as great as it can possibly be. The focus has not been on how to get users in and out as fast as possible. While the Omni Shoes may deter some commercial users for now, the shoes do provide the best walking and running experience that we can offer. Are there any other changes you can see for your purposes? I really think shoes is going to be the preferred method. Without shoes sanitation is a big issue. The other issue is socks always moving and sliding on your feet when u move around in them. Then you have to worry about pain in your feet due to the lack of support. The holy grail would be a surface that any old shoe could run on requiring no special shoes at all. How about a special glasses that you can walk on with your socks. Hey @reptilexcq, I'm not sure what you mean by 'special glasses'? Welcome to the forum @naguito1990! These are good points, and I gave this a lot of consideration too. While I'm still interested in seeing this feature, I don't feel we're missing out on much. I mean, I don't mind kneeling if it's not for too long but getting up again is tough on the knees. Crouching on the other hand is cool; it allows you to get closer to an object you're inspecting, gives you a different perspective, and 'interact' with your environment more realistically (for instance, ducking down to move through a passage that has less clearance). Fortunately, with today's positional head tracking you can do that. Even with legacy games where you normally have to press a button to activate 'crouch walk', it's possible to set a height measure which, once your head moves below this it triggers a crouch in game. Lifting your head up again will make your character stand up. I've tried that using VorpX and it's great - adds an extra sense of reality, as you say. As for sitting, you can also do this in the Omni, as the harness can take your weight. I have tried an alternative product that has more vertical movement - it wasn't very comfortable, and walking was less stable than the Omni. I don't feel it makes sense at this stage to over-complicate the design to allow kneeling and a deeper seated position if it adds cost, reduces stability, and takes up more space. Maybe future iterations could have that, but I believe this is the motion platform the world needs now to bring movement back to VR. Great to see the rollout of new features. Happy to have been a part of this even if my investment goes nowhere.. Yes, I had this question - in a game like Grand Theft, you're going to sit in a vehicle at some point. How do we enable that? Good thoughts.. I for one am perfectly fine with not crouching, at least for now. If you want to know why, play a game, just about any recent FPS will do(you really need a controller to do this). Start by standing and then mimic the position of your character as you play. What I mean by this is if they kneel you kneel, if they go prone you go prone(well as best you can and still play), If they hunch over you hunch over. How long you think you will be able to play for? I would be willing to bet not long, and its not because your not in shape. The issue is your knees. Getting up and down like that or even just walking in a crouched manner is absolutely murder on your knees. Doing that quickly becomes not fun. You could argue that this adds an new unique challenge, and i would agree with you. Limiting your crouching and other things based on what you can physically do adds some new strategic elements. however games are not made like that yet. Many games have the protagonist crouching almost constantly. 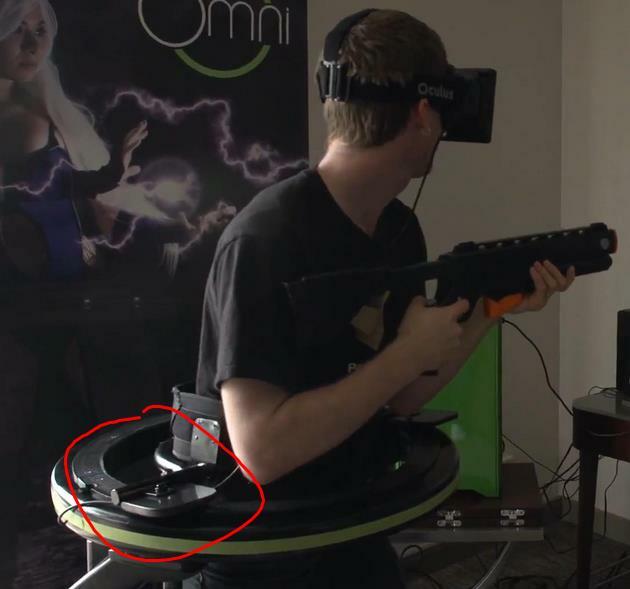 Perhaps once dev's get a feel for what works in VR and how best to create full AAA VR games with re-balanced mechanics and difficulties that are better suited for VR we will see a new version of the Omni with a crouching function or better yet a support ring upgrade/replacement that enables crouching/kneeling. This is a little late down the road sharing this but it had to be done. There are the type of socks that are anti bacterial, anti fungal and tear resistant... this one may not be tear resistant but has the other specs. I would be looking for an Arcade solution like this, but if the Omni shoes are anti fungal, anti bacterial then that is good enough for me. No joke if/when my Omni arrives I'm a buy me a pair of these haha! I know! that's why I definitely had to post them!